Make the visit short: This doesn’t mean you should “eat and run”. If the host has set an arrival time, it is only polite to be on time, enjoy dinner, and visit with others afterwards. But remember that it is okay to be the first to leave. Merely saying, “I need to be home early,” is all you need to say. Consider a hotel: If you’re traveling out of town, consider staying at a hotel rather than at your host’s home. For some introverts, staying at someone’s home equates to the dreaded pressure of making conversation during all waking hours, which can be very draining. If the host appears confused or hurt that you won’t be staying at his or her home, simply let them know that you have some work you have to do over the holiday, and that the hotel environment will help you to stay more focused on completing your task. Take Breaks: Taking a walk by yourself may be all you need to escape for awhile, and afterwards feel energized to lengthen your visit. You can simply say, “I’m going to get some quick exercise with a walk around the block. I’ll be back in a little bit.” Or create a fictitious errand that you need to run to get out of the house. You don’t need to announce your departure to everyone; just make sure that the host knows how long you will be away. Prepare questions: Think about who will be at the gathering, and come up with questions for them in advance. Is your uncle from California going to be present? Ask him about what he likes about living in California. Will you be meeting your cousin’s new girlfriend? Make her feel welcome by asking her questions about herself. If you prepare these questions in advance, it will be a lot less stressful than trying to come up with things to talk about once you’ve arrived. 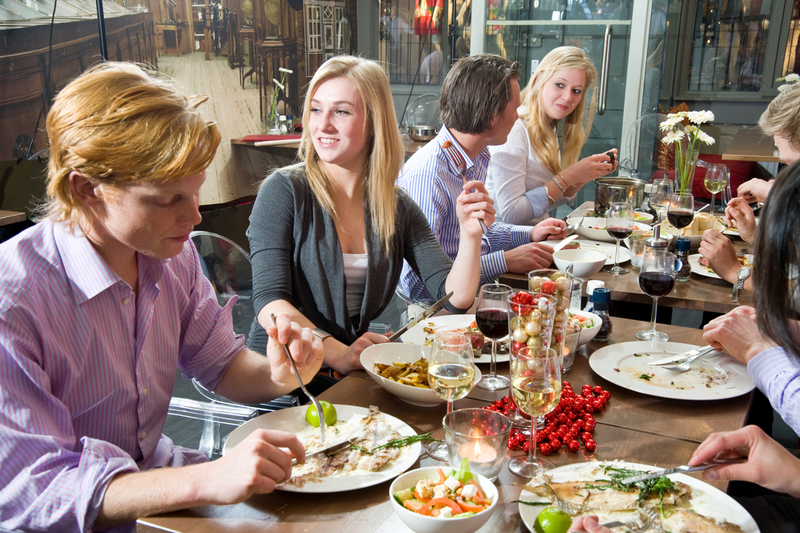 Help the host: While everyone is sitting around talking, your host will appreciate your offer to help with meal prep, setting the table, or washing the dishes. I know of one male introvert who heads straight to the kitchen after a meal and begins washing dishes. Guests commend him for being helpful, but he does it so he can escape the crowd. Rather than ask the host, “Do you need any help” only to be told, “No, that’s okay,” instead, say something like, “can I set the table/make the salad/chop the onions?” This way, you’re not offering help, rather you are asking permission to do something, and your host will be more obliged to take you up on your offer. Just because you may be stressed out about your upcoming gathering does not mean that you are odd or anti-social, so don’t let your anxiety make you feel even worse. By preparing in advance and incorporating “breaks” from others, you will have more of the energy needed to successfully socialize without wearing yourself out. Great tips, thank you!!! I will be using these for sure at Thanksgiving dinner!! !